The publication of this excellent book is timed to coincide with the recent opening of the Second Royal Mummy Room in the Egyptian Museum in Cairo. There has always been a huge amount of interest in the royal mummies since they were found in the nineteenth century. The re-displaying of many of the mummies in special new cases also saw new examinations of many of them, using the latest scientific, non-invasive techniques. The display of mummies now includes almost a complete set of Eighteenth Dynasty rulers, as well as many from the Nineteenth, Twentieth and Twenty-First Dynasties, some of which have never been on show before. Photographs of many of the mummies are relatively rare, with some of the best being a series of black-andwhite images taken in the early years of the twentieth century. It is good, therefore, to see new colour images of the mummies, in most cases a full length view and a close-up of the face. 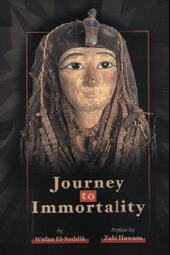 In its sixty-four pages, the book covers the reasons for mummification and the story of the discovery of the two caches of mummies, one at Deir el Bahri in 1881 and one in the tomb of Amenhotep II in 1898. It is an unusual and special experience to be able to see the mummies of some of the greatest of the kings of Egypt and the fact that they have survived at all is remarkable. If you are visiting the Egyptian Museum in Cairo, do not miss the opportunity to see them, and if you can obtain a copy of this book, then do so. Published by the Egyptian SCA, 2006. ISBN 977 305 923 5. Paperback, price £E40. Anyone who has visited the great temple of Karnak and spent full days there will know how complex a site it is and how it is still possible to see new things on subsequent visits. 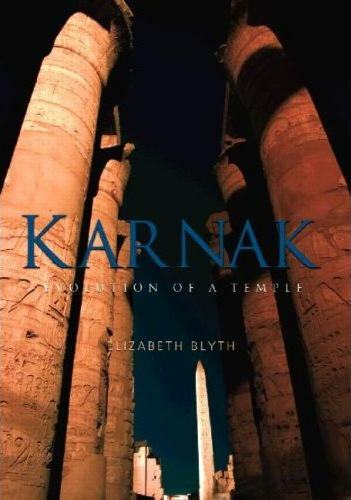 The Karnak we see today is the end-result of centuries of building and demolition, as pharaoh after pharaoh sought to make his mark on the temple. It is, therefore, sometimes difficult to envisage what the temple may have looked like in the time of Tutankhamun, for example, or before Thutmose III, or even in the Middle Kingdom. Well … this is the book you have been waiting for! It is the first book in English to look at the temple in chronological order, recording the contribution each builderpharaoh made to the site. I cannot be too enthusiastic about this volume. Incorporating the latest research on the temple, the author provides a wealth of information that will enhance any visit to the temple – I can say so from personal experience as I have just returned from visiting the temple after reading the book. For example, did you know that the bases of the flag poles from Horemheb’s Ninth Pylon survived and were covered with large bronze plates, bearing the king’s name? This is interesting on two counts: firstly, as these plaques were at the base/bottom of the flagpoles, they would never have been seen by anyone other than the workmen who raised the poles and, therefore, they clearly had another function; and secondly, it was possible to determine from these plaques that the diameter of the poles at the base was one and a half metres. All absolutely fascinating stuff – and the book is packed with information like this. What I would like to do is to visit the temple book-in-hand, but it would mean spending several days in the temple if I did this! More photographs would have been good, but the author describes each location so well that if you have been there you will have no trouble identifying the places of interest mentioned in the text. Do buy this book … if you have visited the temple and know it well, you will gain a better understanding of it, and if you are about to visit, the book will give you an excellent and comprehensive introduction to the complex and amazing site. ISBN 978 0 415 40487 7. Paperback, price £25.99. A team from the Czech Institute of Egyptology has been working at Abusir for many years and has made some significant discoveries at this important, though infrequently visited, site, which has been open to (some) visitors only in recent years. The work of such missions often goes unnoticed by many visitors; indeed the latest excavations have been in an area not visible from the main part of the Abusir complex. Publication of the results of excavation is of vital importance, something for which many teams working in Egypt have a poor record, but this large volume is the ninth in the series of publications of the work of the Czech Institute. Only by publishing the results of work can the information be shared and form the basis for new research or interpretation of the finds. Archaeology is in itself a destructive process, so it is important to know and record where, for example, objects are found. The nature of such reports is that they are, of necessity, detailed and perhaps sometimes they are considered too specialist for the average reader; and, of course, the price, the result of a limited print run, can also be prohibitive. Nevertheless, books such as this make really interesting and informative reading and illustrate the exceptional attention to detail and dedication of the archaeologists working at the site. Chapters cover the archaeology of the site, which covers the entire complex of Raneferef, a king of the Fifth Dynasty whose pyramid at Abusir was known as the “Unfinished Pyramid” by early travellers and visitors to the site. Excavations have revealed details of the pyramid itself as well as the temples and buildings associated with it, which include a slaughterhouse and many storerooms. The book is full of plans and reconstructed views, with illustrations of the work in progress and some of the finds made. Chapters then look at the finds in particular, which include builders’ marks on the masonry, seals, sealings, jar dockets, pottery, stone vessels, statues, amulets and beads, faience inlays and tablets of Egyptian blue, archaeobotanical remains, tools, and the human remains found at the site, which may include those of the king himself. There is a huge amount of detail included in these chapters. For example, although no complete statues of the king were found, fragments of many different statues were, and because we know that the statues were made in a particular style, it is possible to work out what sort of statue many of the fragments came from, how many there were and where they were located in the complex. The chapter on the blue faience inlays and tiles shows how lavishly the complex was decorated. The workmen’s marks and sealings tell a different story, one which perhaps should be compulsory reading for any “pyramidiots” who maintain that pyramids were built by means other than manpower, for the inscriptions clearly label blocks as being cut for the tomb of Raneferef. Because the pyramid is in a fairly ruinous state, these inscriptions are visible. This is not the case for other sites, such as Giza, where few inscriptions have been found identifying the pyramids. Because of this work, we have an excellent idea of what the whole site looked like and, most importantly, what was going on in the many buildings. The knowledge gained by detailed excavation, analysis and study at Abusir can help us to understand the other Old Kingdom pyramid sites too, where less has survived. Detailed this book may be, and perhaps too much so for the absolute beginner, but it is an excellent publication; it shows the amount of knowledge and understanding of a site that can still be gleaned today, by looking at all the finds at the site, from blocks and statues to botanical remains and the many inscriptions and marks left by the ancient workers. It is an impressive publication, which records years of remarkable and little-publicised work at the site by the Czech Institute – work that is still on-going. 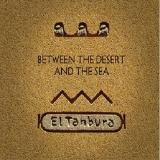 Published by the Czech Institute of Egyptology, 2006. ISBN 80 200 1357 1. Hardback, price £110. 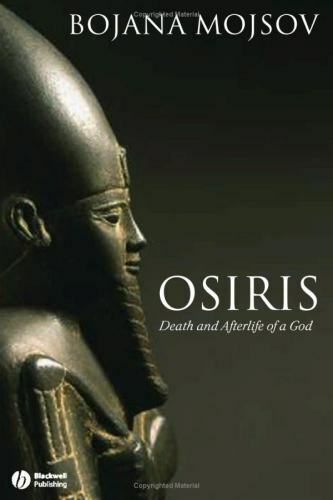 In this book, the author draws together the numerous records about Osiris from the third millennium BC right through to the Roman conquest of Egypt – a period of over three thousand years. She charts the changes in the cult of Osiris, who was the most popular and enduring of the ancient gods, which influenced many of the cultures in the ancient Mediterranean. As the cult developed, it also provided direct antecedents for many ideas, traits and customs in Christianity, including the concept of the trinity, baptism in the sacred river, and the sacrament of the Eucharist; it also had a direct influence on other western mystical traditions and groups, such as the Alchemists, the Rosicrucians and the Freemasons. Written for a general, as well as a scholarly audience, chapters cover the early years of the cult, with one chapter on the cult centre of the god at Abydos. The cult of the god in the age of the pyramid builders, through to the rise and success of the Egyptian Empire and its gradual decline are looked at in some detail, although much of the book is a simple and summarised history of Egypt, necessary to put the cult of Osiris into its context. Interestingly, the book records the direct links between the ancient cult and Christianity, and the fact that some ancient Egyptian ideas and concepts are, albeit unwittingly, still preserved and promulgated today. Published by Blackwell Publishing, 2005. ISBN 1 405 13179 9. Paperback, price £15.99. 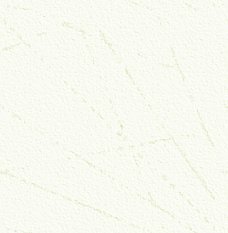 There is a vast trove of letters attributed to women surviving from Egypt, written on papyrus and ostraca, which represent a rare and unique survival of such material. Introductory chapters of this book include “How It Came to Be Written”, “Why Women’s Letters”, “About the Corpus of Letters”, “Late Medieval Letters as Comparative Evidence”, “Writing and Sending Letters”, “Handwriting”, “Language”, “Economic and Social Situation”, “Household Management” and “Travel and Practical Help in Reading the Letters”. The rest of the book is devoted to the actual letters, many of which are grouped according to themes including work, religion, literacy and education. The letters clearly reflect the changes in women’s status in the Hellenistic period. It is interesting to note that women had the freedom to act in the public sphere and the letters are evidence of some increase in women’s education and literacy, which enabled them to participate in many of the same activities as men. Most of the letters are in Greek, a few in Coptic and fewer still in Demotic, and the book includes a few blackand- white illustrations of some of the papyri mentioned. This book is probably aimed at disparate audiences; the inclusion of the word “Ancient” in the title is perhaps misleading as the earliest of the letters were written during the reign of Ptolemy II and the latest date to the eigth century AD. As such, this book will be of greatest interest to those who wish to study this period of Egyptian history and to those in particular who are interested the role of women at this time. Published by The University of Michigan Press, 2006. ISBN 13 978 0 472 11506 8. Hardback, price $75. Books on pyramids and hieroglyphs are not a new idea, and this title, which combines two popular aspects of ancient Egypt, is a combination, re-packaged version of two separate titles by the author and with the same publisher: The Pyramids of Ancient Egypt, 2003 (reviewed in AE Vol 4 no 3) and The Hieroglyphs of Ancient Egypt, 2001. The opportunity has been taken for some minor amendments to be made and for the inclusion of a Bibliographic Essay on Pyramids. If you do not have, or have not seen the two separate titles, you could do far worse than adding this combined title to your library, for there is a wealth of accurate and worthwhile information in this well illustrated book. All the royal pyramids are included, with excellent plans and diagrams; the section on hieroglyphs includes the story of their decipherment, explains how and why they were used, and, most importantly, what they can tell us about ancient Egypt. Published by New Holland Publishers, 2006. ISBN 1 84537 590 4. Hardback, price £16.99. Not surprisingly, Egypt features in this book about the world’s longest river, which winds some four thousand, one hundred miles from the heart of Africa to the Mediterranean Sea. The superb colour images, many occupying double-page spreads, reveal the breathtaking beauty of the river and the landscapes and cities through which it travels. The fact that many of the countries owe their very survival to its water is readily apparent. Images of African wildlife and the local inhabitants are intermingled with views of the river. The book shows the timelessness of life along the river, but also the realities of modern conflicts and unrest in the area, with images of armed soldiers juxtaposed with cattle herders taking their cattle to water. 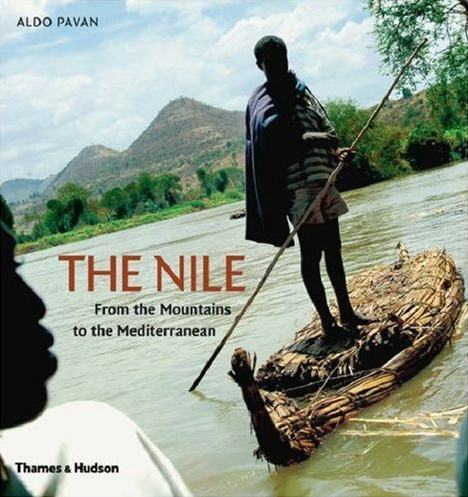 Chapters look at the river as it passes through Uganda, then Ethiopia, with two chapters devoted to Sudan. The Nile Valley in Egypt warrants a chapter as does the Nile Delta, but one is also included on the Western Desert and the Oases of Egypt. For lovers of ancient Egypt, it is not until the book’s journey enters Sudan that familiar images appear, from the stone pyramids of Meroë and the temples of Abu Simbel in the south of Egypt to the modern new library in Alexandria. It is not, however, the images of the monuments, spectacular as they are, or even of the river itself, but the ones of the people that make the greatest impression and that form the largest element of the photos included in the book. Here we see people living and working in, or even on, the river, which always has been a true lifeline. Herodotus may well have said that Egypt was the gift of the river, but this equally applies to the other countries upstream from Egypt. This book shows the great diversity of wildlife, human lives and cultures, dependent on the Nile even today. Published by Thames and Hudson, 2006. ISBN 0 500 513252. Hardback, price £25.95. There are many fictional accounts of ancient Egypt but most of them are set in pharaonic times. Few cover the convoluted history of the Ptolemaic period. Here is a book that redresses that imbalance. The House of the Eagle is the first of a quartet of novels covering the whole history of the Ptolemies from the time of Alexander to the death of Cleopatra VII. The eagle was the symbol of the House of Lagus from which the Ptolemies descended. This first volume covers the life and reign of Ptolemy I and the beginning of that of Ptolemy II. The book gave a faithful, authentic description of the beginnings of this Greek-speaking dynasty as it sought to rule the very different culture of Egypt. The respective viewpoints of east and west are nicely drawn to bring out the clash between the two worlds. We hear the voices of both native Egyptians and their Greek-speaking masters. In the Ptolemaic period it is notoriously difficult to keep up with all the various Ptolemies, Berenices and Arsinoës, not to mention the eventual Cleopatras. However, Sprott draws the individual characters clearly and gives them their own voice and personality, as well as providing the inevitable genealogical chart. How could I fail to give it a glowing review? Published by Faber & Faber, 2004. ISBN 0 571 219179. Paperback, price £7.99. Daughter of the Crocodile is the second novel in the Ptolemies quartet and picks up the saga where The House of the Eagle finishes. 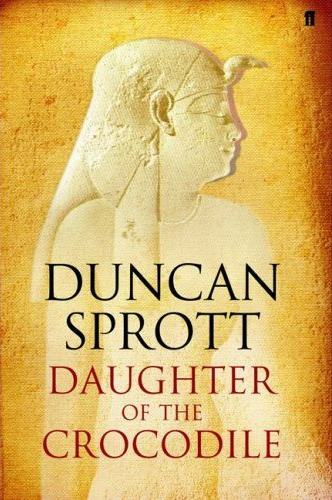 Again, Duncan Sprott accurately portrays the known facts of this period in ancient Egyptian history and manages very successfully to put flesh on the bones of the principal players. Where the supposed author of the first volume is the god Thoth the role of narrator is now placed in the capable hands of his sister/wife Seshat, the goddess of History, who in the Prologue paints a very vivid picture of herself, even claiming that the book is about her. The story opens with the return of Arsinoë Beta to Egypt after her twenty-year eventful – and somewhat tragic – sojourn abroad. Back home she immediately makes mischief, and from the first atrocity blood continues to flow freely throughout the book. 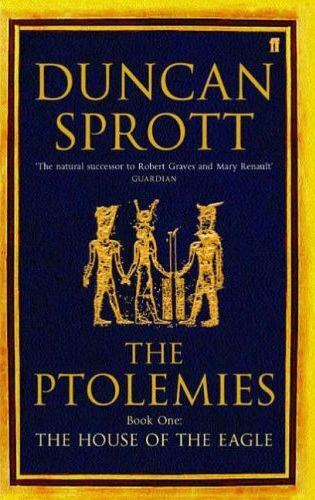 This volume covers the period from the reign of Ptolemy II through to the reign of the child Ptolemy V. During the journey we are introduced to many famous names in the Greek world of the time and, again, they come to life under Sprott’s pen. In stark contrast to the intrigues and manipulations that are the mainstay of the royal family, it is refreshing to read of the harmony and love within the households of the High Priests of Ptah, who succeed in influencing the Ptolemies with regard to the gods of ancient Egypt and what needs to be done to keep them placated. Thus the building of new temples and extensions to old temples are undertaken. In the final chapter, a hitherto absent name from the list of players is introduced, when Ptolemy V at the age of six years is betrothed to a young Cleopatra – the first of the famous seven! This is a very fast-moving book, which holds the attention from the first word to the final full stop. Published by Faber & Faber, 2006. ISBN 0 571 20290X. Paperback, price £12.99. The authors of this book are unknown to me and I will admit to having some concerns when I noticed that other titles planned by Simon Cox include an A-Z of Atlantis and an A-Z of the Occult. But this is a good little book and clearly the result of much research by the authors. They state in their introduction that most of the facts and figures have been obtained from the Oxford Encyclopaedia of Ancient Egypt, edited by Donald Redford, which is as good a reference book as one could use. Entries, in alphabetical order range from “Abydos” to “Wadjet Eye”. The problem is with a book of this nature is not perhaps what to include, but what to exclude, given the constraints of just two hundred and forty pages, “Tutankhamun” is in, though Rameses II and Thutmose III are not. “Heliopolis” is in, Karnak is not … It is so difficult with just fifty-four entries, but there are some notable omissions and also some odd inclusions. (Why is “Sneferu” included, for example? – not, of course, that his reign is not worthy of note.) It is difficult, though, to see at whom this book is aimed. 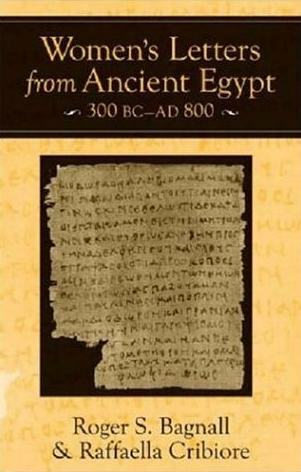 The entries are relatively short, with up to six pages per entry, and each is well written and includes some of the latest ideas: for example, in the entry for Akhenaten, the problems associated with the reign are noted, with no definitive answer provided, enabling the reader to make up his or her mind, and possibly read up on the matter further (a useful bibliography is included in the book). 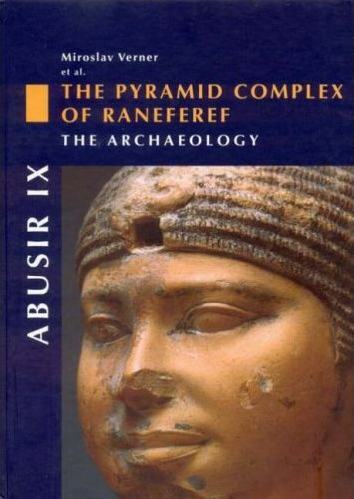 The book can be dipped into, and a few entries read at a time, though this could result in a rather disjointed view of ancient Egypt, reading about “Sekhmet” in one entry and “Sneferu” the next. If readers want to use this book like a dictionary, then invariably the entry they look for will not be there. However, if this book provides new readers to the subject of ancient Egypt a glimpse of the ancient culture, one can only hope that it will encourage them to read more, and if that is the case, this book will have been useful. Published by Mainstream Publishing, 2006. ISBN 1 84596 077 7. Hardback, price £12.99. The British Museum has loaned a number of objects to the Egypt Centre in Swansea. Whilst the collection at the Egypt centre is fairly extensive, there were a few ‘gaps’, which the BM was able to fill and which make the Swansea display such a good and well-used teaching and educational collection. Forty-two pieces were lent by the BM as part of the museum’s “Partnership Programme” which aims to loan objects to regional museums to utilise the BM’s collection as a shared resource. This book is a catalogue of the pieces loaned, and, although small, is packed with useful information in its twenty pages. Most of the loan items are small, and the majority are statues of deities, or amulets. Each object is illustrated and has a full description, making this book an excellent introduction to the form and purpose of the wide range of amulets and such figures that can be seen in collections around the country. Other objects include a Middle Kingdom ‘soul house’, a New Kingdom reed basket and some food offerings. I imagine that the visitors to the centre, many of whom are young school children, will be fascinated to see some ancient Egyptian bread. This excellent little book will be a good record of a visit to the centre, but also a good introduction to this genre of objects, and potentially a very reasonably-priced reference book for students and enthusiasts too, with as much sound information contained in the pages as in many larger and more lavish publications. 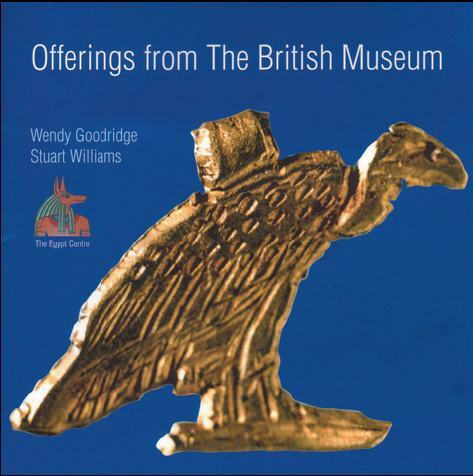 Published by The Egypt Centre Swansea, 2006. 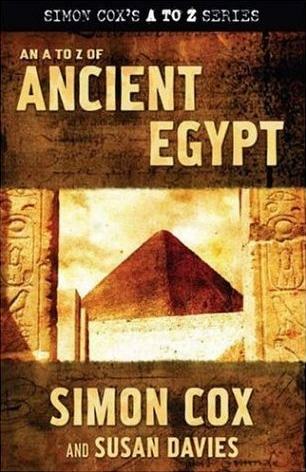 Available from the Egypt Centre www.swan.ac.uk/egypt Paperback, price £3. 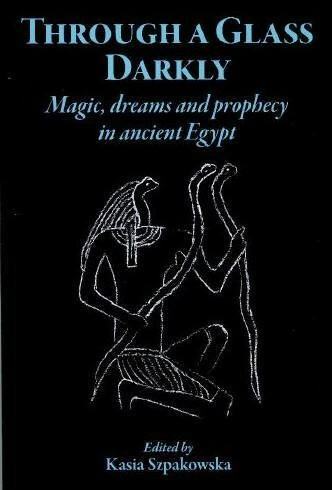 Magic, dreams, and prophecy played important roles in ancient Egypt, as recent research has increasingly made clear. 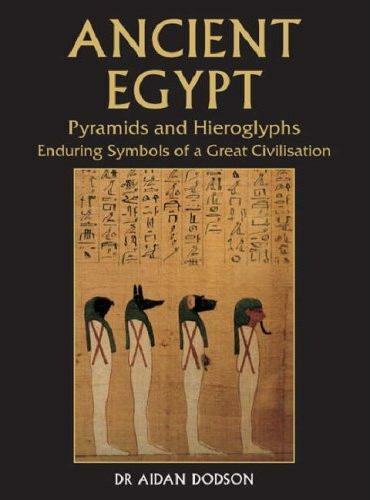 In 2003, the Department of Classics and Ancient History of the University of Wales, Swansea organised a special conference on this subject, attended by many international Egyptologists and specialists and this volume is a collection of thirteen of the papers presented. The papers show the scope of the studies and research on this subject currently being undertaken around the world. The introduction, entitled “Tomorrow is Yesterday” is written by the Editor of the book, Kasia Szpakowska. Chapters follow on: “The Social Context of Magic in the 3rd Millennium & Middle Kingdom”, John Baines; “The End is Near”, Leonard Lesko; “Corn Mummies: ‘Amulets of Life’”, Maria Centrone; “The Spitting Goddess and the Stoney Eye: Divinity and Flint in Pharaonic Egypt”, Carolyn Graves-Brown; “Magic, Dreams and Prophecy in Egyptian Narrative Literature”, Alan B Lloyd; “Nocturnal Ciphers in the Ancient Near East: Egyptian Dream Exegesis from a Comparative Perspective”, Scott Noegel; “In Search of the Sorcerer’s Apprentice”, Daniel Ogden; “Sinuhe’s Dream”, Richard B. Parkinson; “A black cat from the right, and a scarab on your head: New sources for Ancient Egyptian Divination”, Joachim Quack; “The Dreams of the Twins of St. Petersburg”, John Ray; “And each staff transformed into a snake: The Serpent Wand in Egyptian Magic”, Robert K Ritner; “A Lost Dream Episode”, Anthony J Spalinger; and “Entangled or Connected: The power of knots and knotting in Ancient Egypt”, Willemina Wendrich. The nature of some of the articles means that this volume may be best suited to the more knowledgeable reader, or of course one who is especially interested in this subject. Much of the information included is new, published here for the first time, and as such it will undoubtedly be a most useful reference book; with each chapter accompanied by extensive notes and bibliographies, it will be a first port of call that will point students in the direction of much of the source material. Each paper is of interest, though I was particularly fascinated by the chapter by Alan Lloyd on dreams and prophecy, which uses some well known papyri whose stories are well known, such as the Westcar Papyrus, and by Daniel Ogden’s chapter on the Sorcerer’s Apprentice. This is the story made famous by Goethe and Walt Disney, but I had not realised that, although it originates in a Greek text, the story was actually set in Egypt. Published by The Classical Press of Wales, 2006. ISBN 1905125089. Hardback, price £45.00. A collection of musicians/fishermen from Port Said are proving to be one of the most successful bands in Egypt. Their instruments comprise a battery of hand drums, the desert flute, the harp, and the ancient-looking lyre, and are mixed with the band’s chanting vocals. This nine-piece band is probably best experienced live, when they can gradually build up their lengthy, trance-like songs to a furious dance finale. They are on tour in the UK in February and March (see the web site www. 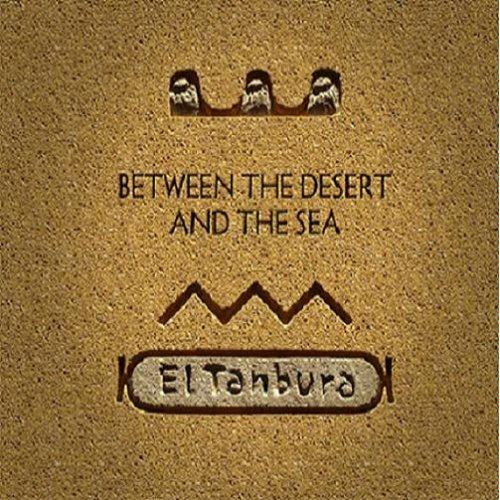 eltanbura.com for venue details and dates). Their songs feature intense bursts of chanting with the typical Egyptian insistent percussion and, as a contrast, there are quieter tracks featuring the harps and lyres. Many are traditional Egyptian folk songs they have collected, but there are new pieces too, such as Zayy El Nharday (The Canal Song), which is a rousing celebration written to mark the 50th anniversary of the Suez crisis and Egypt’s independence. The group is an unlikely-looking mix of Egyptians with a wide age range and a mixture of traditional and modern clothing, but they are clearly all united by their love of Egyptian music and that comes across in their songs and performance, even on a CD. Live, they would, I am sure, be even better. Reviewers Michael Tunnicliffe and Gillian Cook are on the Committee of the Manchester Ancient Egypt Society. Many of the more popular books reviewed in these pages will be available and on the shelves of most of the main bookstores, but if not, they can of course be ordered from any bookshop, using the title, author name and the important and unique ISBN number. If readers happen to be in London and would like to see a copy of the book they are considering buying, the bookshop in the Great Court of the British Museum always has a good stock of titles on ancient Egypt (but this will not be convenient, or indeed possible, for many readers). Otherwise, Museum Books offer an online service and email booklists. For more information, contact Shirley Lancaster – email: Shirley@museumbooks.demon.co.uk tel: 0208 367 8973, or web site: www.museumbooks.demon.co.uk Oxbow Books also usually have in stock most of the titles reviewed here: Oxbow Books, Park End Place, Oxford, OX1 1HN.